Do you want to dress up for Halloween without going over the top? 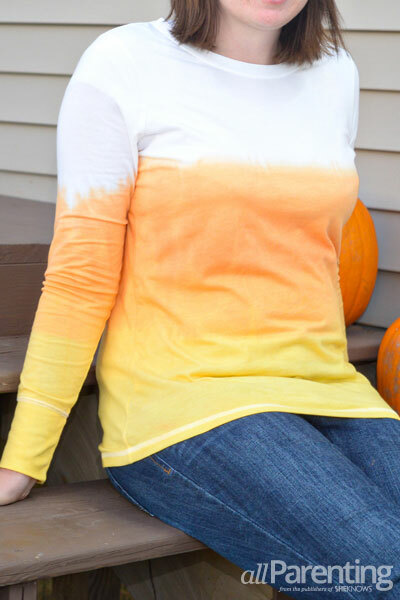 Try this dip-dyed candy corn T-shirt tutorial for a subtle Halloween look that's perfect for moms and kids! *Tip^ This dyeing technique requires hot water. Because we are using a 100 percent cotton shirt, you may want to use a shirt that is a size larger than your usual size in case of shrinking. 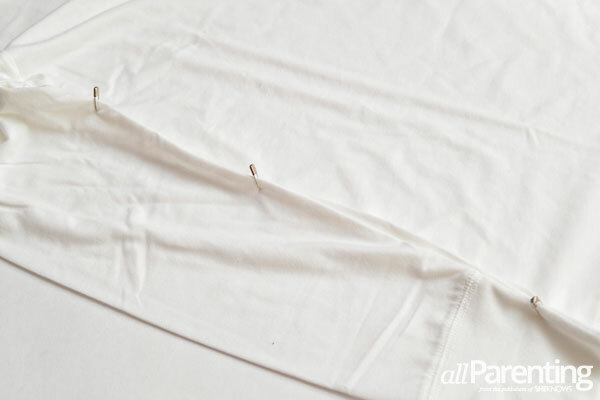 Lay the T-shirt on a flat surface. Line the bottom of the sleeves up with the bottom of the shirt. Use the safety pins to pin the sleeves to the body of the shirt. If you are using a short-sleeve shirt or tank top, you can skip this step. Set the plastic tub in your bathtub or shower and fill it with hot water. 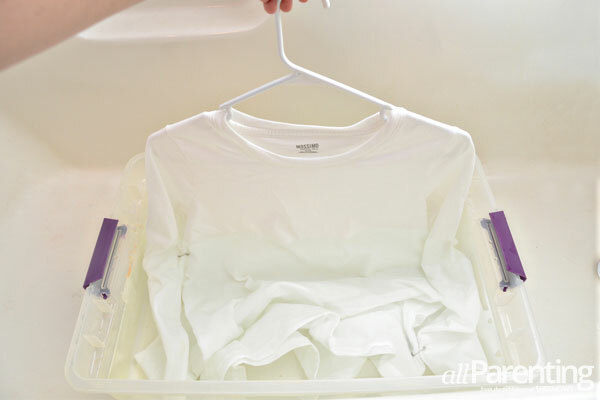 Put the shirt on a hanger and submerge the bottom 2/3 of the shirt in the water, just to get it wet. 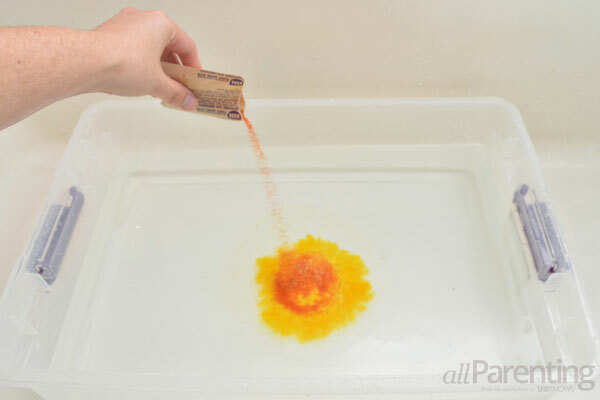 Remove the shirt from the water, then pour the yellow dye into the water. Grab a large spoon and stir the dye into the water until all of the dye particles have dissolved completely. Dip the bottom half of the shirt in the yellow dye. Hold the shirt in the dye for a few minutes to allow the dye to set in, then remove the shirt from the dye. 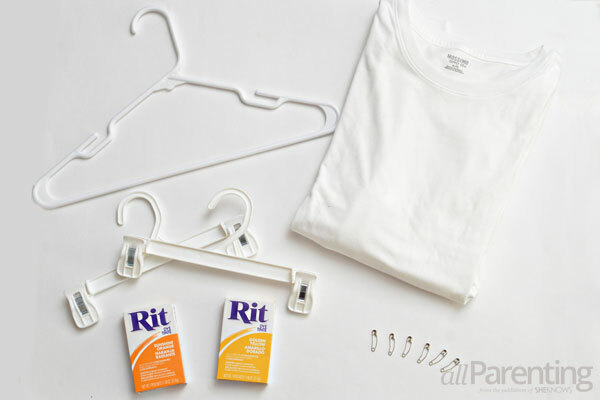 Clip a pant hanger to the bottom of the T-shirt. 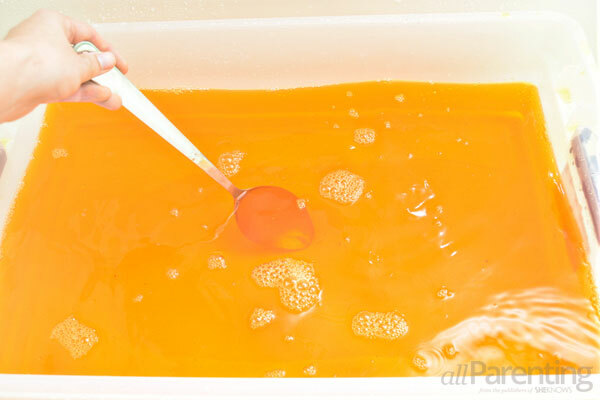 Dump out the yellow dye water, refill the plastic tub with hot water, and mix a dye bath with the orange dye. 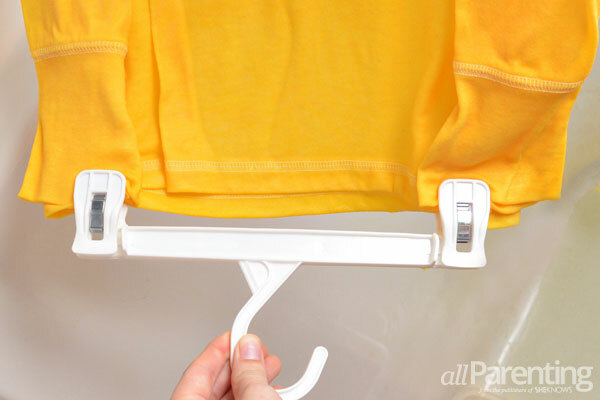 Hold the shirt with both hangers and dip just the middle portion of the shirt in the orange dye. 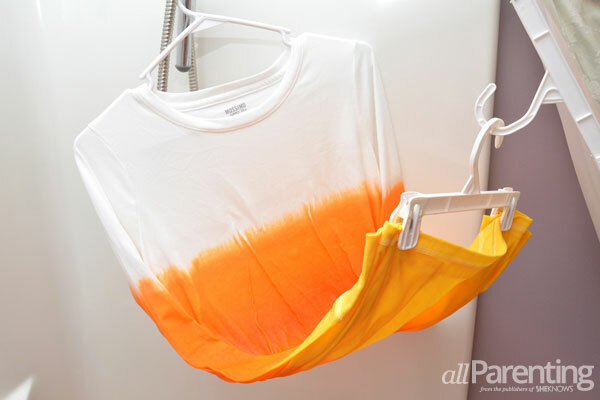 Let the shirt sit in the orange dye for a few minutes, then remove the shirt from the dye and hang it so that the orange part of the shirt hangs lower than the yellow and white parts. Let the shirt hang for a minimum of four hours to allow the dye to set in, then rinse the dye away until the water runs clear. 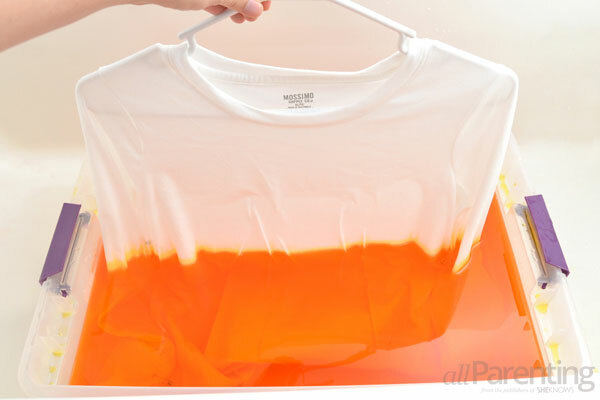 Rinse away from the white part of the shirt to prevent the dye from spreading. Toss the shirt in the washing machine by itself. 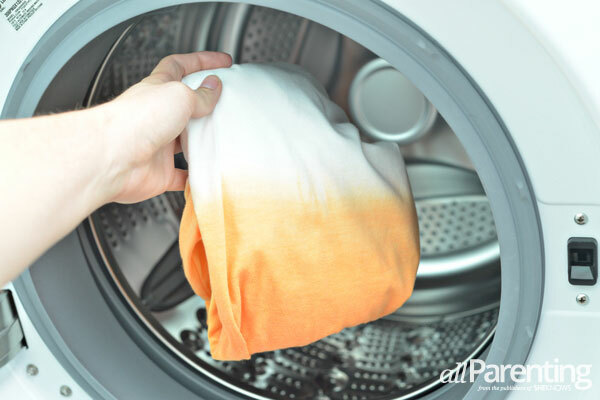 Wash on cold and dry as usual, and then your candy corn T-shirt is ready to wear!